- 1988: The Committee of Science and Technique was renamed to Department of Science and Technique pursuant to the Decision No. 263/QĐUB.TCCB dated September 12, 1988 issued by the People’s Committee of Vung Tau – Con Dao. 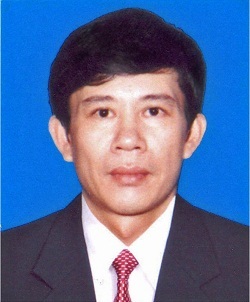 - 1991: The Department of Science and Technique was established by the Ba ria – Vung tau Provincial People’s Committee (PPC) pursuant to the Decision No. 13/QĐ.UB dated October 13, 1991. - 1993: The Department of Science, Technology and Environment (DoSTE) was established by the Ba ria – Vung tau PPC pursuant to the Decision No. 630/QĐ.UB dated October 12, 1993. - 2003: The Department of Science, Technology and Environment was changed into Department of Science and Technology (DoST) by the Ba ria – Vung tau PPC pursuant to the Decision No. 6942/QĐ-UB dated July 25, 2003. The Ba ria – Vung tau DoST is a specialized agency under the PPC which plays the role in assisting the PPC in fulfilling the State management functions in terms of Science and Technology activities and issues within the province. 1/ The DoST is a specialized agency under the PPC which plays the role in assisting the PPC in fulfilling the State management functions in terms of science and technology activities, development of science and technology potentials on all socio-economic fields, standards for quality measurement of products and goods, intellectual property (excluding author rights in terms of literary and art works), radiation and nuclear safety within the province as stipulated by laws. 2/ The DoST is managed and directed directly and comprehensively by the PPC. Moreover, it is professionally managed, instructed, guided and checked by the Ministry of Science and Technology concurrently. 3/ The DoST has its own legal personality, stamp and account at the State Treasury. 1/ Formulating and submitting to the PPC draft documents on instructions, decisions relating to science and technology activities, development of science and technology potentials on all socio-economic fields, standards for quality measurement of products and goods, intellectual property, radiation and nuclear safety within the province as stipulated by laws. Based on these documents, official instructions and decisions will be promulgated to carry out in the locality. 2/ Planning and submitting to the PPC the 5-year and annual programs and plans on science and technology activities, development of science and technology potentials on all socio-economic fields, standards for quality measurement of products and goods, intellectual property, radiation and nuclear safety appropriate with the provincial socio-economic orientation. 3/ Directing, guiding, checking, evaluating and being responsible for organizing the implementation of legal and regulatory documents as well as programs and plans under the DoST’s management field after being approved. Propagandizing, educating, popularizing legal and regulatory documents relating to science and technology activities, development of science and technology potentials on all socio-economic fields, standards for quality measurement of products and goods, intellectual property, radiation and nuclear safety. 4.1/ Working out and submitting to the PPC measures of improving scientific research, technology development, technology transfer, S&T market development, application of advanced S&T in practice. 4.2/ Being responsible for arranging and organizing the selection process of scientific research studies and projects chaired by organizations and individuals to carry out S&T tasks. Regulating examination, inspection, assessment, acceptance and announcement of results of scientific research and technology development. 4.3/ Directing, guiding relevant departments, sectors, local science and technology service organizations to S&T activities. Coordinating with relevant department, sectors, local science and technology service organization to work out and propose S&T plans at the State level which links to inter-sectoral and inter-regional cooperation tasks to serve for local socio-economic development. This plans will be integrated to submit to the competent authorities. 4.4/ Managing activities related to assessment, evaluation, consultancy and transfer of technology which takes place within the province as regulated by laws; examination and assessment of investment projects in the province as devolved to the provincial government. Monitoring, analyzing and assessing technology levels of provincial economy; organizing the assessment of S&T levels in the province. 4.5/ Issuing Certificates of S&T Operation Registration for research and development organizations, S&T services organizations of all economic sectors as stipulated by laws. Being responsible for organizing examination and inspection of their activities. 4.6/ Submitting to the PPC proposals on promulgating policies and mechanisms for mobilization of domestic and foreign organizations to apply widely S&T achievement; and for making decisions on assisting private economic organizations for applying new technologies and techniques in practice. 4.8/ Cooperating with other departments and sectors to work out and submit to the PPC plan programs, development planning, policies and management mechanisms and efficient usages of provincial S&T potentials, such as encouragement and attraction of human resources on S&T, annual training and cultivation of S&T knowledge for staff/cadres, development and organization of laboratory operation as regulated by functions of the department; investment of material facilities and equipment for S&T activities and scientific and technological information and data. 4.9/ Submitting to the PPC decisions on establishment of consultant councils as stipulated by the Law on Science and Technology to fulfill standing functions in terms of scientific and technological committee. 5.1/ Guiding application of Vietnamese standards, sectoral standards, international standards and others compulsory standards as required by State management tasks for manufacture, business and service individuals and organizations provincewide. Moreover, guiding application and development of standards for units. 5.2/ Organizing the network of verifying, calibrating measurement means to meet the provincial requirements. Executing verification and calibration of measurement means in terms of recognized scope of work. 5.3/ Guiding and organizing State management on acknowledgement of standards for quality of products and goods, acknowledgement of products and goods appropriate with standards as assigned and recognized by competent authorities. 5.4/ Coordinating with relevant departments, branches to check and certify quality of products and goods in the province. promote/improve working movement with creativeness, to bring into play technique initiatives, to rationalize manufactures. Monitoring, analyzing and propagating advanced technique and initiatives of organizations and individuals in the province. 6.2/ Organizing the implementation of measures to protect legal rights of the State, organization, individuals in intellectual property field in the province as stipulated by laws. 7.1/ Organizing the appraisal of radiation safety and issuing certifications of operation of X-ray machines used in medical services as regulated by laws. 7.2/ Directing, checking and organizing periodically the declaration, statistics and report on radioactive sources, radioactive waste and radiation activities in the province. 7.3/ Making preventive, protective and restorative plans for radiation and nuclear problems. 8/ Assisting the PPC to in directing and guiding People’s Committees of districts, town and city to carry out State management tasks on S&T activities, standard for quality measurement of products and goods, intellectual property and radiation and nuclear safety. 9/ Inspecting, checking the implementation of laws and policies; dealing with issues of disputations, complaints, claims and denouncements; solving breaches of laws on &T activities, standard for quality measurement of products and goods, intellectual property and radiation and nuclear safety. 10/ Carrying out the international cooperation activities in State management fields of the department as regulation by laws. 11/ Implementing the statistics on S&T activities in the province as regulation by the MoST. 12/ Assisting the PPC in carrying State management for activities of associations and no-Governmental organizations in State management fields of the department as regulated by laws. 13/ Making reports periodically half annual, annual reports or unscheduled reports on the implementation of functions and tasks for assigned fields and send it to the PPC and MoST. 14/ Managing the organizational mechanism, personnel, staff, officials and employees; organizing the trainings and cultivation of knowledge on S&T activity management for State officials and permanent staff as regulated by the PPC. 15/ Managing financial resources, assigned assets of the department as regulated by laws and devolved by the PPC. 16/ Implementing administrative reform within assigned management fields of the DoST. - The DoST has a Director and two Vice Directors to assist the Director. - The DoST has 4 professional sections, the department Inspectorate and a branch that assist the Director to fulfill functions of State management. + Sub-department of Standard for Quality Measurement of products and goods. * Scientific and Technology Informatics and Statistics Center. * Center for Application of Advanced Science and Technology.